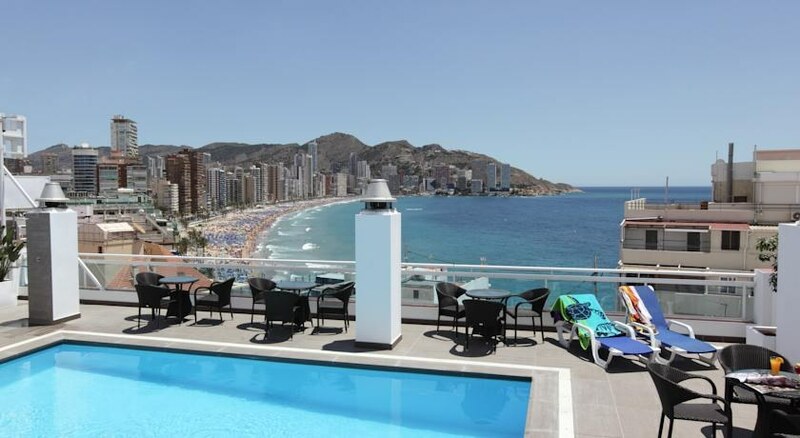 With the Levante Beach less than 200 yards away from the property, the 3-star Hotel Centre Mar offers a fantastic location in the Costa Blanca capital, from which you can experience all the tourist spots in Benidorm. The hotel boasts a modern and fresh design throughout, alongside a range of on-site facilities such as a buffet restaurant, a swimming pool offering panoramic views of the city, a chic rooftop bar and an entertainment programme. Hotel Centro Mar is also nearby to the likes of the Plaza Mayor Square, Aqualandia Water Park, Terra Mitica Theme Park and two golf courses - so you shouldn’t be stuck for things to see and do. This hotel doesn’t accept booking from stag/hen parties or large groups but it is suitable for couples and families with children who want a relaxing holiday by the beach. The Hotel Centro Mar is located just off Levante Beach and only a short walk into the bustling town centre, lined with a multitude of bars, shops and restaurants. It’s also in a handy spot from which you can explore the rest of the town. This includes attractions such as the Aqualandia Water Park (2.1 miles), Terra Mitica Theme Park (2.4 miles) and the Las Rejas Golf Course (1.8 miles). 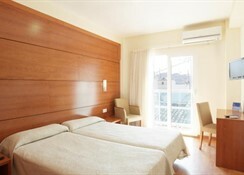 There is also a casino just over a mile away from the property and the Alicante International Airport is 29 miles away. 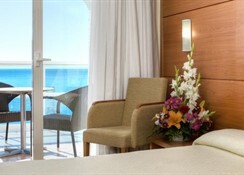 There are 54 guest rooms available at the Hotel Centro Mar. Furnished in a simple style, there are three room types to choose from. Standard Rooms have capacity to sleep up to three people, the Exterior Room With Balcony is suitable for two people, and the Sea View Room, also comes with a balcony and can sleep two people. 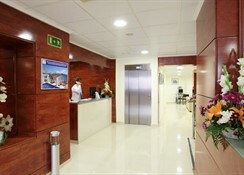 All the rooms come with air conditioning, free Wi-Fi and a flat screen TV. 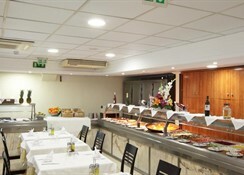 There is a main buffet restaurant at Hotel Centro Mar that’s open for breakfast, lunch and dinner which serves both international and local cuisine. You will also find a bar for takeaway lunches, or if you’re planning on going out for the day the hotel can arrange packed lunches for you too. Its central location means you are only a short walk away from many bars and restaurants to explore in the town centre. Facilities at the hotel include a swimming pool, sun loungers and also an entertainment programme, which is available during the high season. Guests can walk to several of the city’s best beaches in minutes or try your hand at 18 holes on the Las Rejas Golf Course or the Villaitana Golf Course which is 3 miles away. There is also a casino just over o mile from the property.